Schoolchildren and adolescents need a good diet in order to grow, develop, be protected from disease and have the energy to study, learn and be physically active. Holistic and coherent school programmes and policies are key to achieve children’s human rights to food, education and health. 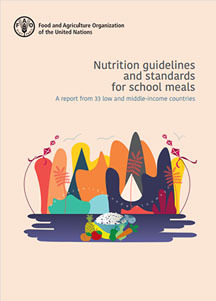 Through complementary interventions such as healthy school meals and food and nutrition education, pupils can improve their diets, develop healthier food practices and extend these to their families and communities. 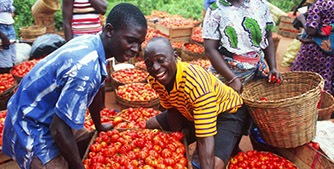 These programmes can also support local agriculture, strengthen and diversify local food systems and help move people out of poverty by sourcing food for school meals from local smallholder farmers. 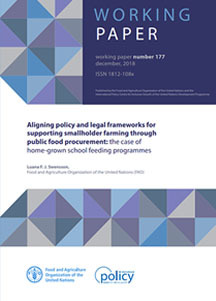 FAO works with governments to leverage schools’ potential through programmes and policies, supporting the Sustainable Development Goals of food security, nutrition, education and health for everyone. 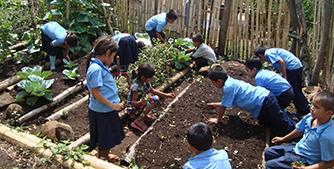 Food and nutrition education, together with a healthy food environment, fosters healthy habits in children and adolescents. Linking the demand for nutritious school meals to local, smallholder production contributes to the socioeconomic development of communities. The whole school community has an active role in promoting nutritious school meals and demanding healthier food environments. 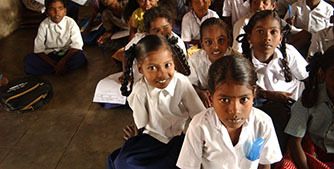 School-based programmes that strengthen the link between nutrition, education and food systems can contribute to the achievement of several Sustainable Development Goals.